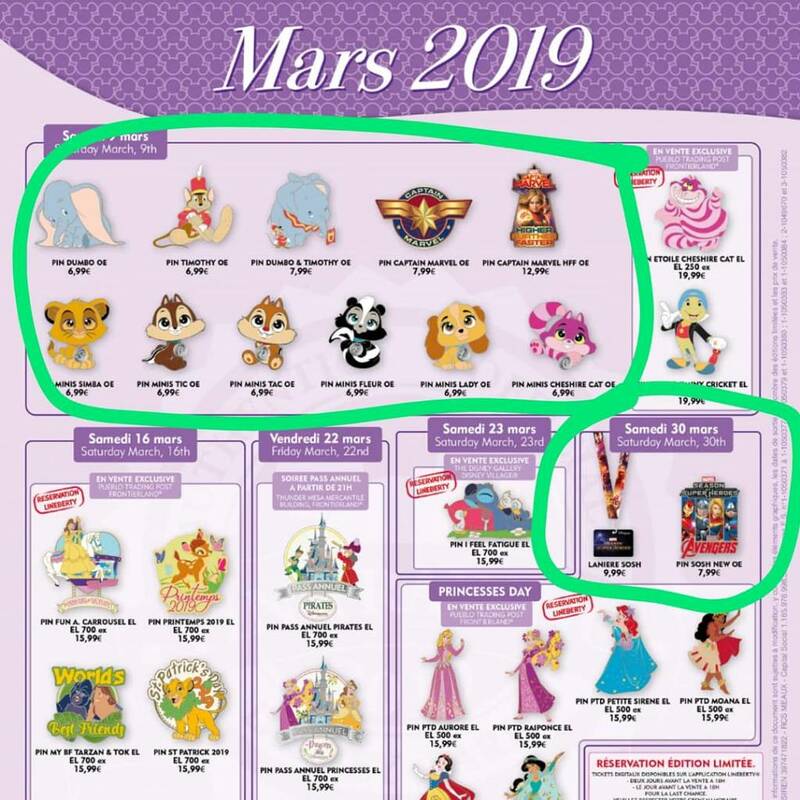 I'm off to Disneyland Paris next weekend (29th and 30th March) and wanted to shout out to see if anyone was looking for any pin pickups while I'm there. I'm the UK so postage is from here when I have the pins. I'm also happy to pickup any other OEs available. If people have character requests I can take pics when I arrive Friday for picking up Saturday morning before I head home. Postage for any number of pins in the UK is £3.50, to the US is £10. I've included the February and March flyers here for reference of what's new at the moment but drop me a message if there's anything specific people are looking for. Disneychildwithin and Shelterkat like this. I'll take the 2 Stitch, and 3 Marvel pins. Ok, may I get pictures of any of the following: Scrooge, Nephews (or Ducktales or Disney Afternoon), Aristocats and Figaro if they have any. I already got the Scrooge and Figaro Minis from you recently, so I'm ok there. As for what you posted, I'm still awaiting on what my wife decides because chances are she is going to want something from the flyer you posted. I'll be posting again! Any chance you will get the princess pins? I would like two mini Cheshire OE pins - Thanks! If you can get princesses and if you can get more than one, I too am in search for the Aurora Princess day pin. Tiana or Snow would be spiffy too. Ariel has legs so she’s a no go. Gotta cut the fish girl collection off at some point. I would be interested in Moana, if you are able to get any. Thank you. If you are able to get the princess pins, I would really like to get the Belle pin. Just let me know. Thank you! I'd be interested in the princesses too if you are able to get them. Any of them. CABCC45, KJackson1195 and Disneychildwithin like this. I too am interested in any Princess day pins if you are able to get them. Interested in Moana pin as well. Oh no!! I’m sorry you weren’t able to get a ticket. Thanks so much for trying!! Everyone cross fingers for tonight think "ticket" thoughts! Disneychildwithin and CABCC45 like this. My wife finally decided... minis of Chip, Dale, Todd and Marie if they still have her. Hopefully they got something for me too! firechief18, noone and Pibbman like this. Yes, those are the ones she wants.